"Legacy was, and still is, a key component in raising five curious, creative children of God. Our kids received a wonderful education - and so much more. Legacy's accelerated curriculum provided them with the academic roots for success in high school and college - but that's only part of our Legacy story. Legacy provides the kind of character education that encourages our children to think beyond themselves in innovative and compassionate ways. Each of our kids is unique, but what they all have in common are hearts for service and the skills and experience necessary to leave a positive mark on the world. We couldn't have done it without Legacy - and wouldn't want to! My husband and I often say, 'Thank God for Legacy!'" If your child is entering Kindergarten soon - or you've thought about switching elementary school programs for your older child - you really need to take a peek at what's happening at Legacy Christian Academy in Valencia. The National Blue Ribbon School for Excellence has recently opened their new, fully-redesigned dedicated Science Lab on the elementary campus (Their junior high already has a high-tech Science Lab!) and it's jaw dropping. "A space like this is incredibly rare on any K-12 campus," says Ryan Anthony, Legacy Christian Academy's elementary science teacher. "With the amazing resources I have at my disposal, I can fully engage our students in any subject. The Science Lab is a place that peaks a child's curiosity. Tables are set up to encourage collaboration; it's designed so that students can work together with their lab materials to deeply explore the day's topic. As I'm speaking about, say, erosion, the giant projected background behind me displays weathering in the Grand Canyon. They hear the flowing streams of the forest while we discuss biomes. It's a fully-immersive environment that ignites STEAM and cultivates a passion for science in the hearts and minds of our kids," says the former AP Physics teacher. "We are so thankful for the depth of knowledge Mr. Anthony brings to our Science program - his skills and experience teaching upper-level sciences helps him best prepare our elementary learners for success not just today, but in tomorrow's rigorous courses. His enjoyment teaching younger children is so evident; go into our dedicated science classes and you'll feel the happy, positive energy that only comes when you have a teacher who is profoundly committed not just to their field of expertise, but their students," says Legacy Head of School Matt Millett. It's all part of Legacy's STEAM (Science, Technology, Engineering, Art and Mathematics) emphasis. "I love it when I hear parents and community members refer to our campus as Legacy Tech," says Co-founder and Superintendent Tim Borruel. "But technology alone isn't what makes our new dedicated STEAM spaces so special. From the Innovation Lab to Discovery Hall, and now our Science Lab, we have the faculty who make these spaces come to life, who make every class meaningful. You can have the best technology, the most up-to-date lab experiment investigation kits - and we do! - but we also search literally nationwide for the best administration and faculty to populate these rooms with creativity, real-world applications, a heart for solving the world's problems and excellence in teaching. It's a partnership that's built with great intentionality for the betterment of our students." Calling all elementary school-age kids! Your incoming transitional Kindergarten-to-sixth-grade child can spend the summer at the Saugus Union School District Summer Fun Camp and experience phenomenal field trips, amazing guest speakers and make friends that last a lifetime. Sites are located throughout Santa Clarita. Please see their ad on page 86 for site locations and phone numbers. With an academic focus (90th percentile in scholastic kinder readiness testing! ), low preschool ratios (1:8 in preschool and - wow - 1:6 for low 2s!) and a celebrated character education focus (In a warm, caring, fun environment! ), it's no wonder that Sunshine Learning Centers were voted the best preschool in 2017 by readers of The Signal and have the highest-rated customer satisfaction score. Curious how Sunshine can be a light in your family's life? Tours are available year-round. 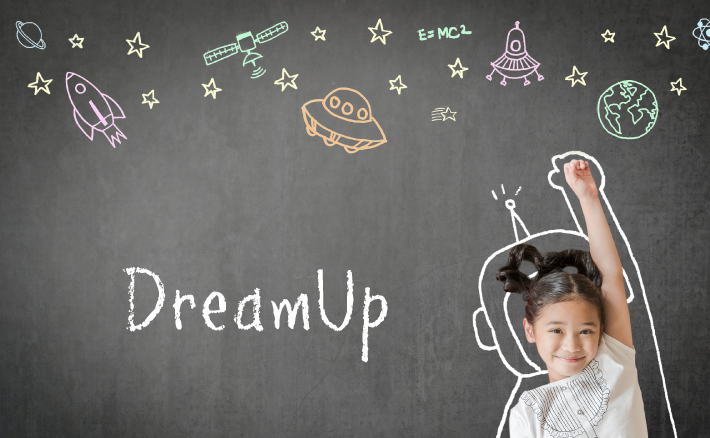 The students of SCVi Charter School and iLEAD Schools are shooting for the stars, and the public is invited to come see the results during the iLEAD DreamUp Space and Innovation Expo on March 2 at College of the Canyons. DreamUp to Space is a STEM learning project in which the children of SCVi and the other iLEAD Schools in Southern California are creating research experiments and designing mission patches to compete for an opportunity for their projects to be flown in space to the International Space Station. The two-pronged iLEAD aerospace initiative for 2018 involves learners in grades 4 to 12 in designing science projects that would be performed in space, and students in all grades, from TK through 12, are designing mission patches to compete for the opportunity to go to space, too. The top two patch designs from all iLEAD students' submissions will be flown to the space station along with the chosen science experiment. On March 2, the students will display their projects at COC. At this evening event, guests will have the opportunity to gain hands-on experience with other "maker" activities. COC maker staff will be there to show the public the college's maker space and give information on how the public can become more involved with the maker movement. 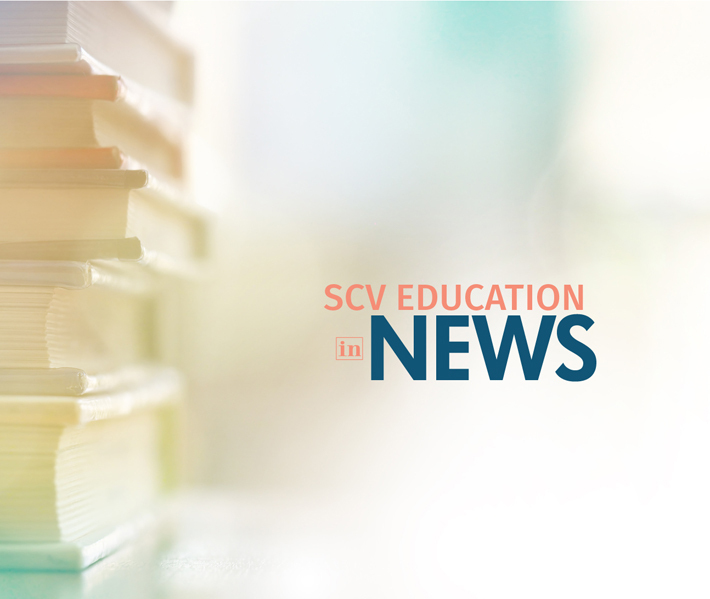 SCVi has had maker spaces on its campus for over three and a half years, so COC's maker space is a perfect venue to share DreamUp with the public. There will also be displays from COC students as well as other iLEAD schools and learning programs, including iLEAD Innovation Studios, iLEAD Lancaster, iLEAD Encino and of course SCVi. SCVi Charter School, the founding campus of iLEAD Schools, is located at 28060 Hasley Canyon Road in Castaic. Call to request a tour.